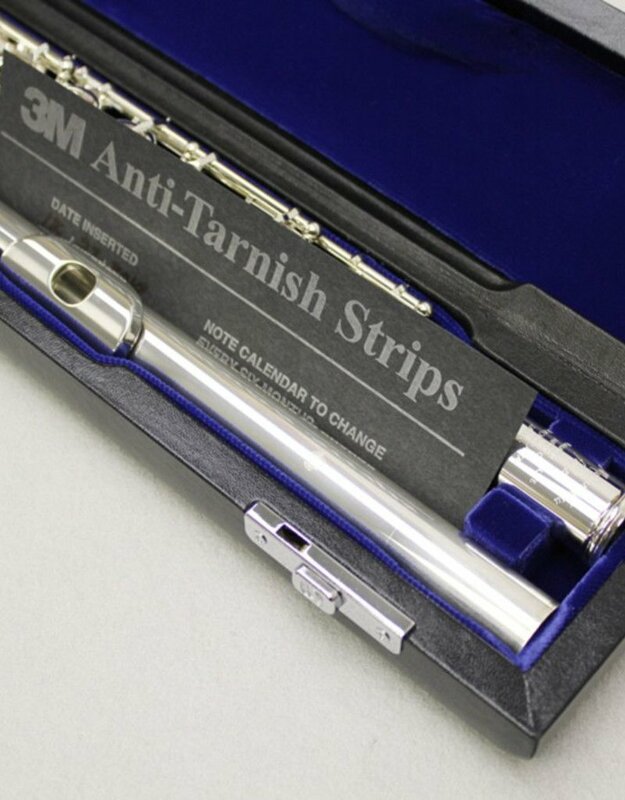 Chemically treated paper, protects silver plated instruments from discoloration for approximately 6 months. They protect silver, nickel, copper, bronze, brass, gold and pewter. 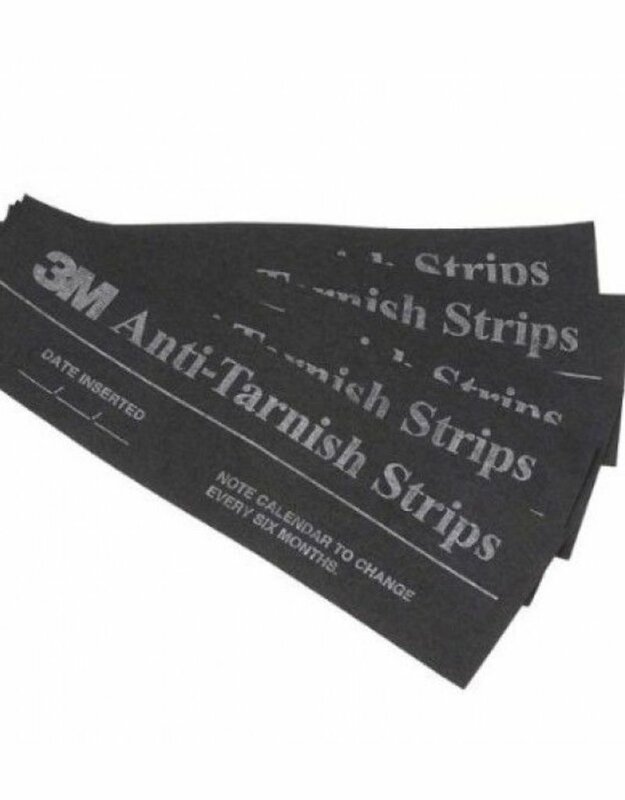 Use a 1 strip for a 30 cubic cm of air space.,What are Anti-Tarnish Strips?,They're a special absorbent paper that incorporates 3M Tarni-Shield Technology. 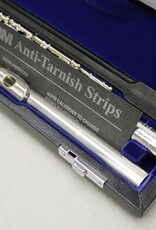 This technology is designed to inhibit tarnish or discoloration of metals in transit or storage. 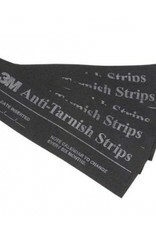 Strips protect silver, nickel, copper, bronze, brass, tin, pewter and gold.,How long will these strips protect?,Length of time depends on permeability of the storage or shipping container and the pollution level of the surrounding atmosphere. These estimates may very based on location.